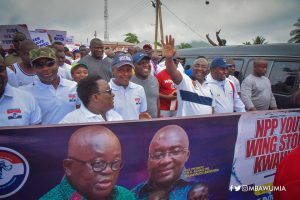 Trade and Industry Minister, Alan Kwadwo Kyerematen has explained why government is yet to achieve a significant percentage of its flagship one district, one factory promise. He said no government can just get up and get factories overnight because in his words, “factories are not sold in shops”, but rather it is built from the grounds up, and building takes a year or two or even three to finish. He warned Ghanaians not to expect factories’ construction ‘overnight’ across the country as part of the government’s one-district-one-factory programme. Mr Kyerematen was speaking at the National Policy Summit in Tamale, covered by MyNewsGH.com. “For us to appreciate, how long it takes for a factory to be established, my brothers and sisters, if you decided to build your house, a house to accommodate yourself, not a factory how long does it take? Sometimes one year, two years, three years,” he said. He pleaded for the public to be patient with government as there are procedural checklists government must tick.